The most chilling concern about Donald Trump is the worldwide fear that he puts our very survival at risk. This is not loose talk or partisanship. It was recently expressed by the most thoughtful experts who monitor the risks to our survival: The Science and Security Board of the Bulletin of the Atomic Scientists, who are the keepers of the Doomsday Clock. These experts have just told the world it is “Two and a half minutes to midnight,” where midnight signifies the end of civilization. This is the closest to doom since 1953, when both the United States and Russia first possessed thermonuclear weapons capable of destroying the world. Let’s not panic. Instead, let’s think, plan, and act. As President John F. Kennedy famously declared, “Our problems are manmade — therefore, they can be solved by man.” The problem of Donald Trump can be solved too, by the institutions of American democracy and the international rule of law. The Doomsday Clock was created 70 years ago, in the early days of the Cold War and the nuclear weapons race between the United States and the Soviet Union. For the first time in human history, mankind possessed the means of causing not only great carnage and suffering, but also the very destruction of humanity. The early generation of atomic scientists recognized the profound and unprecedented dangers of the new weapons and sought to warn the world. In the first edition of the clock, in 1947, they set the it to seven minutes before midnight, nuclear Armageddon. As the Cold War intensified, and atomic bombs gave way to vastly more powerful thermonuclear bombs, the minute hand moved five minutes closer to midnight. When JFK came into office he powerfully expressed the existential paradox of modernity. “For man holds in his mortal hands the power to abolish all forms of human poverty and all forms of human life.” We never came closer to the end than in the Cuban Missile Crisis in October 1962, when mistakes by both the United States and the Soviet Union led the world to the very brink of nuclear war. In 1963, brilliant diplomacy by Kennedy, supported by the moral leadership of Pope John XXIII and the bold statesmanship of Nikita Khrushchev, led to the signing of the Partial Nuclear Test Ban Treaty. Humanity was spared. The minute hand of the Doomsday Clock moved back to 12 minutes before midnight, a margin of safety. With America’s escalation of the Vietnam War under Lyndon Johnson, the minute hand began to move once again toward midnight, while Richard Nixon’s “detente” with the Soviet Union again reduced the tensions and put the minute hand back to 12 minutes before midnight. Then tensions escalated with Ronald Reagan’s new arms buildup, until Soviet President Mikhail Gorbachev launched the process of political and economic reform, perestroika, that culminated in the end of the Cold War and the end of the Soviet Union itself in 1991. Humanity had, it seemed, reached a moment of relative safety; the minute hand stood at 17 minutes before midnight that year. Trump’s Russia connection and his abundant business conflicts cannot be ignored. Yet if ever a historic opportunity for safety was squandered, this was it. Every US president since then — Bill Clinton, George W. Bush, and Barack Obama — has contributed to a decline of global safety, with the minute-hand moving from 17 minutes before midnight to just three minutes before midnight last year, even before Donald Trump became president. And after just a few days in office, Trump has contributed to another 30-second jump of the minute-hand toward midnight. What went wrong between 1991 and now? Two grave mistakes. The first was the failure to capitalize on the end of the Cold War by establishing a trustworthy relationship between the United States and Russia. While most Americans would blame Vladimir Putin for that, they should follow the Gospel advice of Jesus: “You hypocrite, first take the log out of your own eye, and then you will see clearly to take the speck out of your brother’s eye.” Instead of working with Russia after 1991, the United States unilaterally asserted its military power, expanding NATO toward Russia’s borders and invading several countries in the Middle East. The Cold War was revived, not ended. The second mistake was to turn a blind eye to the second existential threat: human-induced global warming. While the threat from nuclear weapons was easy enough to perceive (though also easy to forget day to day), the existential threat from human-induced climate change was far more difficult. To understand it requires at least a basic awareness of quantum physics, the Earth’s physical dynamics, and Earth’s climate and economic history. Our presidents and Congress have lacked that. They understand money from lobbyists — oil and gas companies — not quantum physics. There are dire risks of our continued burning of coal, oil, and gas. When these fossil fuels are burned, they emit carbon dioxide into the atmosphere. Carbon dioxide has the special quantum-mechanical property that it absorbs infrared radiation and thereby acts as a kind of atmospheric “greenhouse” for Earth, causing the planet to warm. This is of course clear to atmospheric chemists but not to most politicians. The science and Earth history also make clear that we are recklessly gambling with future survival. The ocean level could rise by 20 feet or more as a result of even slight further increases in temperature. Only a fool would say that since such an outcome is not completely certain, we should simply continue to burn fossil fuels at the maximum rate. They then cite Trump’s recklessness both toward nuclear weapons and climate change. On nuclear weapons, Trump has casually suggested that Japan and Korea should become nuclear powers; that a new nuclear-arms race is welcome; and that the use of nuclear weapons (e.g., in regard to ISIS) is not “off the table.” Yes, for every statement such as these, there are equal and opposite statements as well. There is, in short, casualness, inconsistency, and incoherence. On climate change, the inconsistencies are not the problem; denial is. Trump has completely turned his administration’s environmental policies over to the oil and gas industry. The State Department is now in the hands of ExxonMobil; the Environmental Protection Agency is in the hands of politicians like Scott Pruitt, long financed by the fossil-fuel industry. The word on Capitol Hill is simple: The mega-billionaire Koch brothers, who own the nation’s largest private fossil-fuel company, own Congress, or at least the Republican side. Trump is a bully whose bluster is designed to intimidate and wrong-foot a foe, and in Trump’s worldview, just about everybody is a foe. As he has famously explained, in an attitude inherited from his father, there are “killers” and there are “losers.” The bluster is designed to put Killer Trump ahead of the losers. The key to survival in the Trump era is to look past the bluster, face down the bullying, and prevent Trump’s poorly controlled emotions from guiding the policies of the United States on these life-and-death issues. Despite the bravado of the flood of executive orders, most of them are mere statements of intent, not legally binding instruments. The courts will have their say; and the regulatory agencies must follow rigorous procedures to change existing regulations, all of which are subject to court review and congressional supervision. This is not to say that bullies do not get their way; they can. But bullies only get their way when others back down. Trump’s recklessness can be checked in five ways. First, the courts will scrutinize these poorly prepared and ill-considered executive orders; many will be quashed. The Muslim ban on entry to the United States is now on hold, perhaps never to be implemented. Every one of Trump’s early executive orders is likely to face court challenges and prolonged litigation. Second, it will just take a few patriotic Republican senators joining with the Democrats to put a stop to Trump’s mad rush of recklessness. 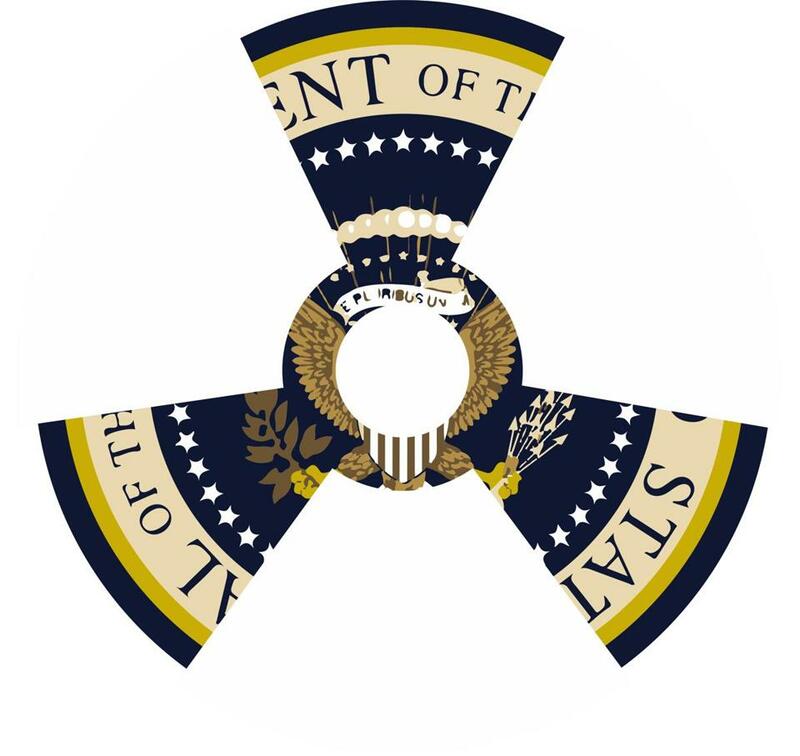 Will Senators John McCain, Lindsey Graham, Susan Collins, Rob Portman, Lisa Murkowski, or Ron Paul, among others, really stand by if Trump acts recklessly brings us to the brink of nuclear war? Or would these and other senators allow the corruption and greed of the Senate to gut the Paris Climate Agreement? Of course, that’s possible, but these senators have children and grandchildren too, and most are not as stupid as their party’s official position on climate change. Third, Trump is rapidly uniting the world — against the United States. 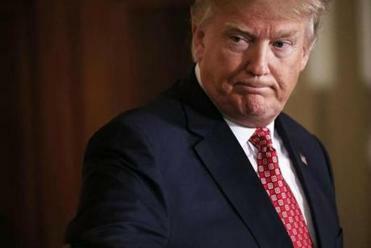 Within just two weeks of office, Trump had the European Union president listing the Trump administration alongside Russia, China, and the Middle East as threats to the European Union. China’s President Xi Jinping has offered to take up the internationalist mantle that Trump is so eager to relinquish. Almost all of the world is also united in urging the handful of nuclear-weapons countries to honor their solemn obligations, under the Nuclear Nonproliferation Treaty, to take concrete steps toward nuclear disarmament, and not to instigate a renewed and dangerous arms race. Fourth, while consumers have little sway over nuclear weapons, they have considerable sway over climate change. America’s brand names need to be put on notice: If you cower to the Koch Brothers, American Petroleum Institute, and Chamber of Commerce, you will pay a price. General Electric, are you with us or against us on saving the planet? How about you, Pepsi, Walmart, IBM, Walt Disney, GM, and other companies on Trump’s “strategic and policy forum”? Uber CEO Travis Kalanick has already walked out of the forum because of Trump’s Muslim travel ban. For those who remain, the millennial generation of consumers will soon walk out on you if you are accomplices to Trump’s attempt to gut the treaty agreements restricting global warming and the domestic regulations to implement them. Fifth, of course, is electoral politics. In moments of pessimism, it may seem that Trump will trample American democracy, thereby preventing a course correction in 2020 or earlier. Yet Trump is no Caesar or Augustus, and America is no republican Rome on the verge of succumbing to dictatorship. No doubt Trump can do great damage; our institutional checks and balances have been gravely weakened by decades of rule by the military-industrial-intelligence complex. Presidents indeed have the power to launch wars, even secret ones run by the CIA and special ops units that can kill vast numbers of innocents. Yet the first days of Trump’s mayhem show that the American people, and our political institutions, are not ready to accede to bullies. I’m counting on the millennials to lead the way.